I get a weekend all to myself for the first time in I don't know how long and I'm bored. I never get bored! Never! I'm usually very much in the camp of "only the boring get bored" but not this weekend. Whether it's the muggy weather (really warm and sticky but with no sun? What?! ), the fact I'm not used to doing nothing or someting else, I just don't know. 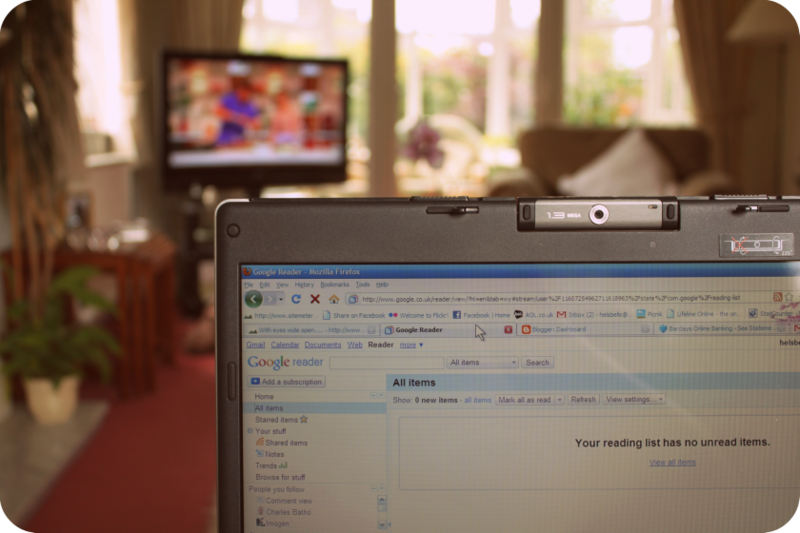 I even got my reader down to zero. Shock, horror. 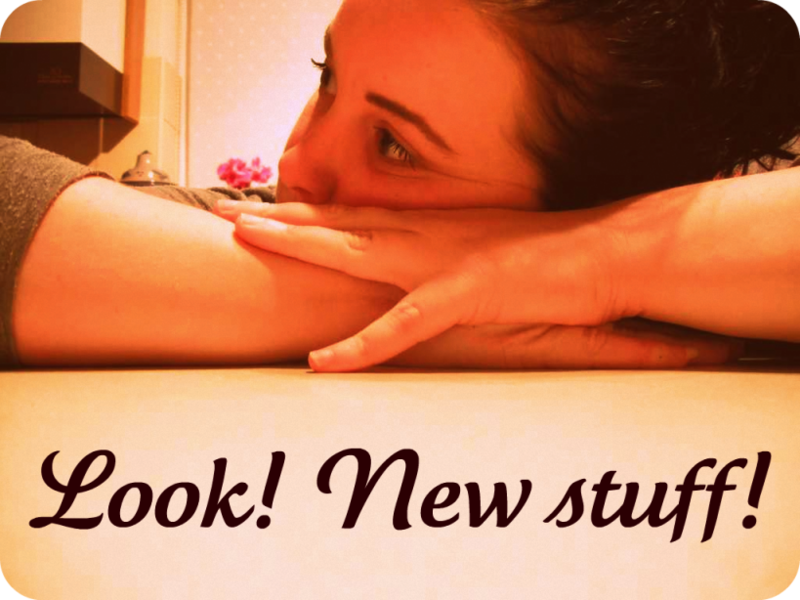 So, I did what I normally do when I'm having a bout of frustated boredom, I redid the blog. I've tidied up the sidebars a bit and got rid of some bits and pieces that have been there for ages. Plus I've condensed things a little and made some new buttons for the right sidebar. Any thoughts or comments? I'm not sure if the header will stay (it's a little bit 'HELLO LOOK AT MY GIANT FACE') but it'll do for now. Also, you might notice that I've got rid of the 'With Eyes Wide Open...' It's Clear Your Heart now. In both name and web address. Nice and simple. 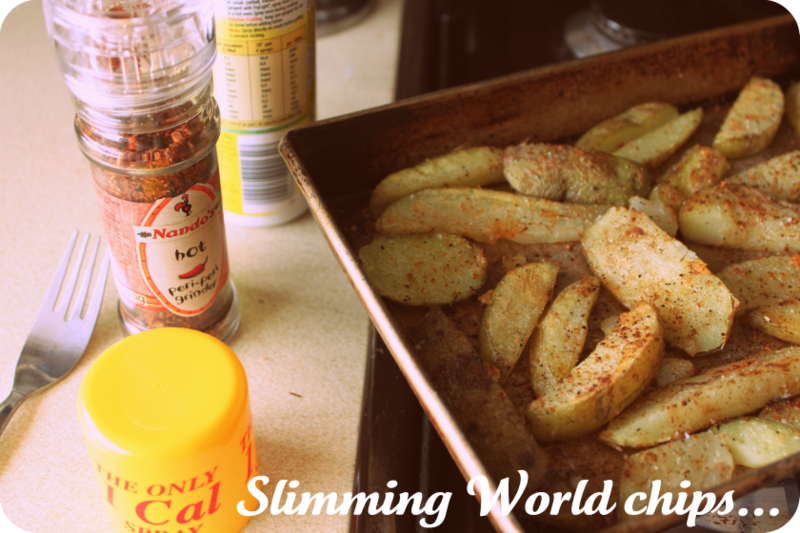 Amongst my boredom and blog tinkering I did make one of my favourite treats for lunch... Slimming World chips! These are pretty healthy as they're baked in the oven with Fry Light. My Dad, lover of junk food, has proclaimed these to be better than 'normal chips'. 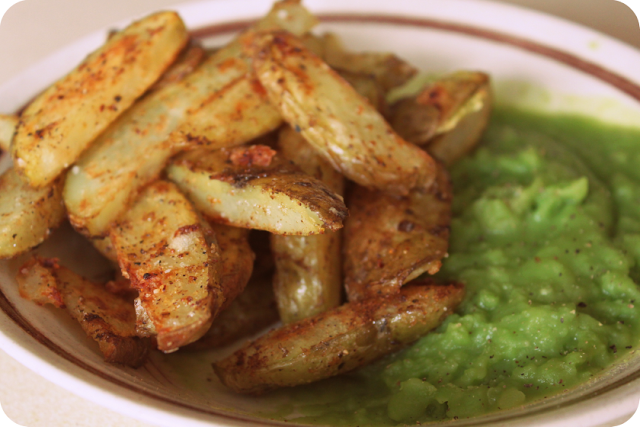 Chop some potatoes into wedges (or smaller if you prefer). Put the potatoes into a pan of boiling water, bring back to the boil and leave for eight to ten minutes. Drain potatoes and shake the pan, so the edges of the wedges are rough and fluffy. Place the wedges in a single layer on the baking tray, spray with more Fry Light and add more spices and seasoning to taste. Place the wedges in the oven for 30 minutes, turning them once. Mushy peas... food of the Gods!